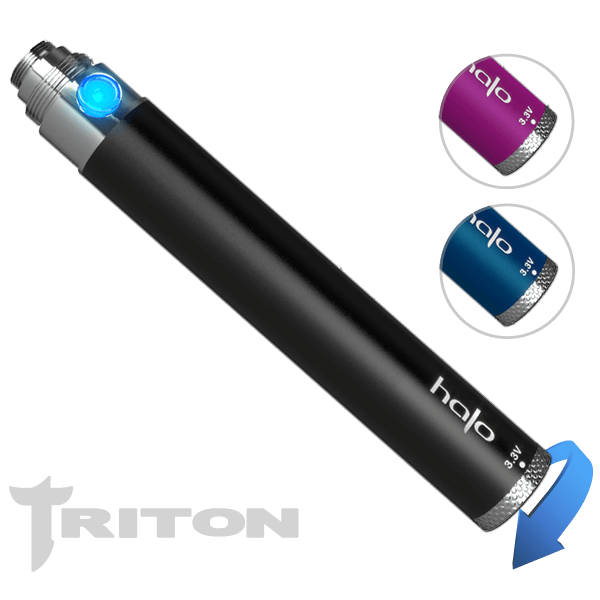 Adjustable e-cigarette battery that allows variable voltage between 3.3 - 4.8v. The main aspect that differentiates this Trion Twist battery from other types of battery is that it allows the user to have more control by adjusting to the preferred battery voltage. The VV Battery will make your vaping experinece even better.